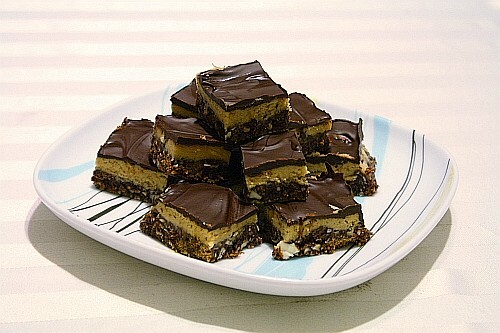 This entry was posted in Candy, Chocolate, Cookies, Daring Kitchen, Desserts, Recipes, Vegetarian or Veg-optional and tagged almonds, chocolate, coconut, Cookies, crackers, Daring Bakers, dessert, graham, Martha Stewart, nanaimo bars. Bookmark the permalink. 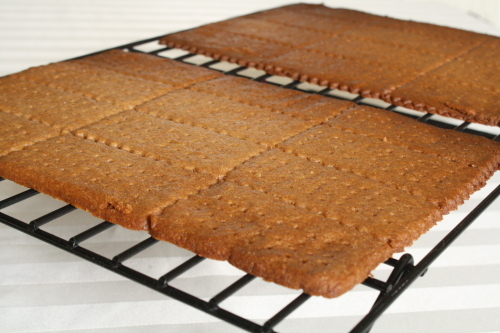 Homemade graham crackers–that’s pretty awesome. I’m going to try that out along with some homemade marshmallows and make some s’mores! 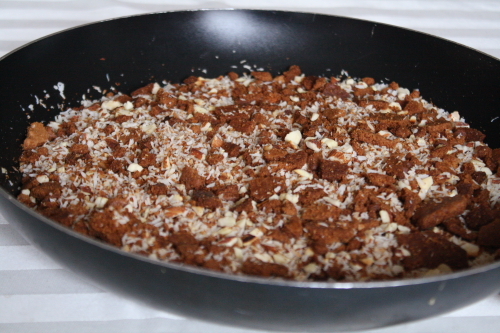 The graham crackers and bottom layer were my favourite parts too. That Martha recipe does look really rich–more butter than the DB one. I used it with all-purpose flour and really liked the result. I made more of a custard filling so it wouldn’t be too sweet. Still rich, though. And you’re right about Canadians and their collective sweet tooth. Butter tarts and sugar pie are both pretty popular here! I was seriously about to put my coat on and come confiscate some, but it’s too cold out to warrant a chocolate goodness run… or is it? 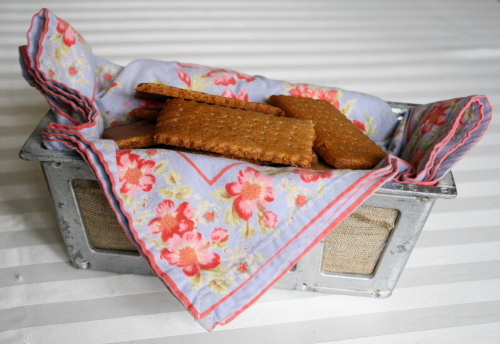 I love the picture of the crackers in the napkin! I agree with the bars themselves – so incredibly sweet I could hardly swallow the one bite I took. I love your beautiful tea towel in the photoshoot! 🙂 And chocolate runs are totally normal.